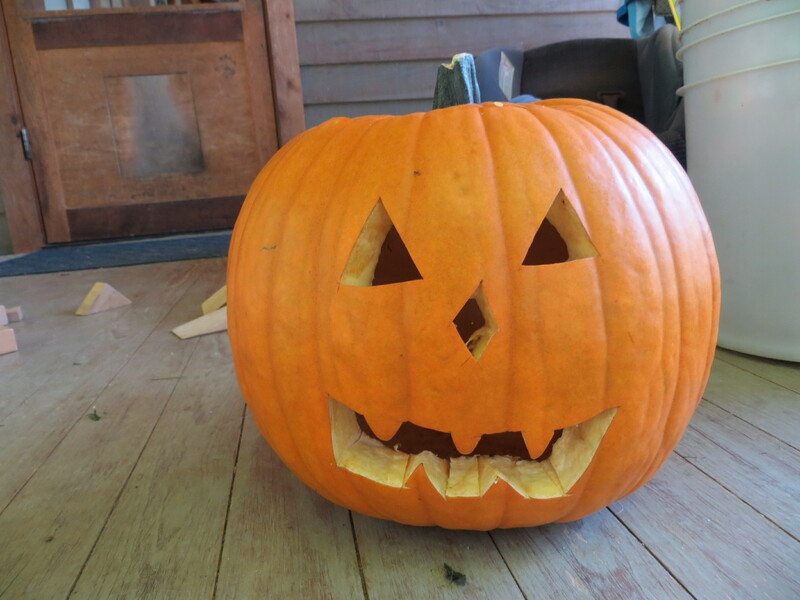 No major changes in the garden lately, though we’ve picked a few more pumpkins. 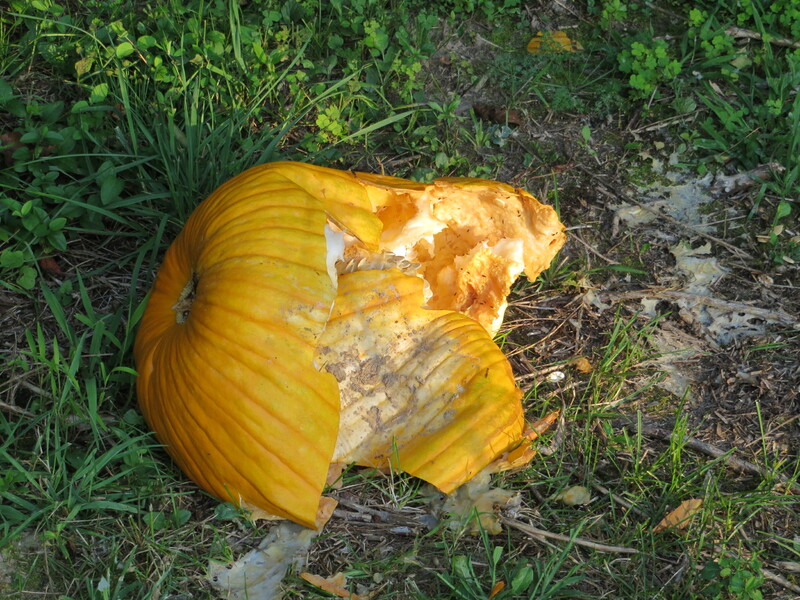 Unfortunately, two of those pumpkins (big ones, too) were completely rotten. I was able to pick them up and throw them so they exploded. This was a very exciting event for Hythe. He loved the exploding pumpkins, and it was almost worth growing them for his reaction. 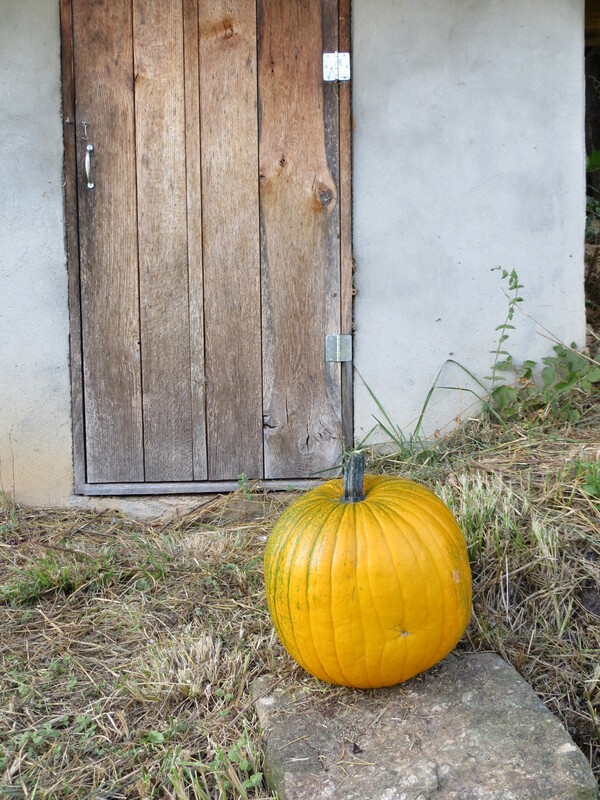 We did get one which we carved into a jack-o-lantern and another which is in the root cellar, otherwise known as the well house. All the potatoes are dugnow, and some more lettuce, arugula, and turnips were planted. Winter squash harvest is happening too, and most of this bounty is going in the root cellar for now. 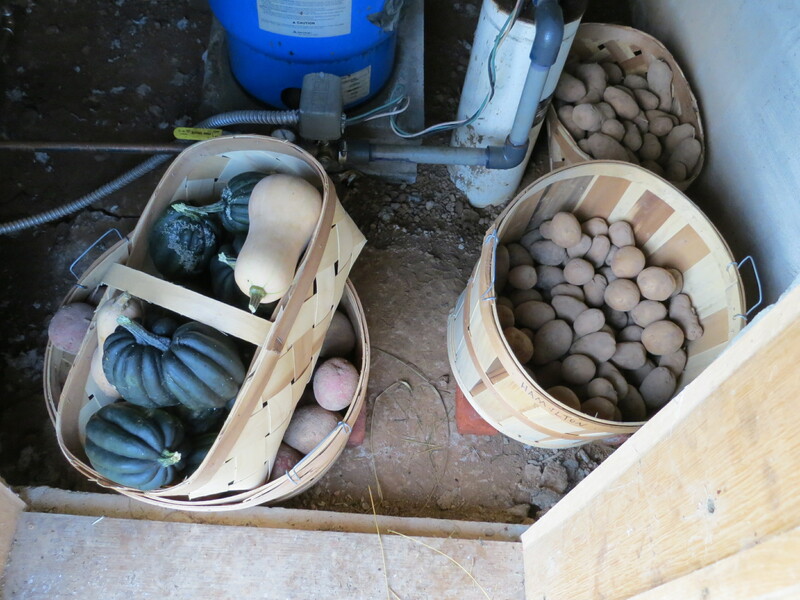 We will be eating lots of potatoes and winter squash this fall and winter! Two of my favorite veggies!